I have run several searches looking for a clone of this German Hefeweizen beer with no luck. My sister really likes this beer and I wanted to try to make a batch. Any recipes or ideas? Thanks. I brewed this one last year and compared it side by side with HP and the color and body were dead on. Thank you so much. So many views but no recipes. This will be my next brew, I'll test it and make it again this winter for my sister, she loves this. Thanks. 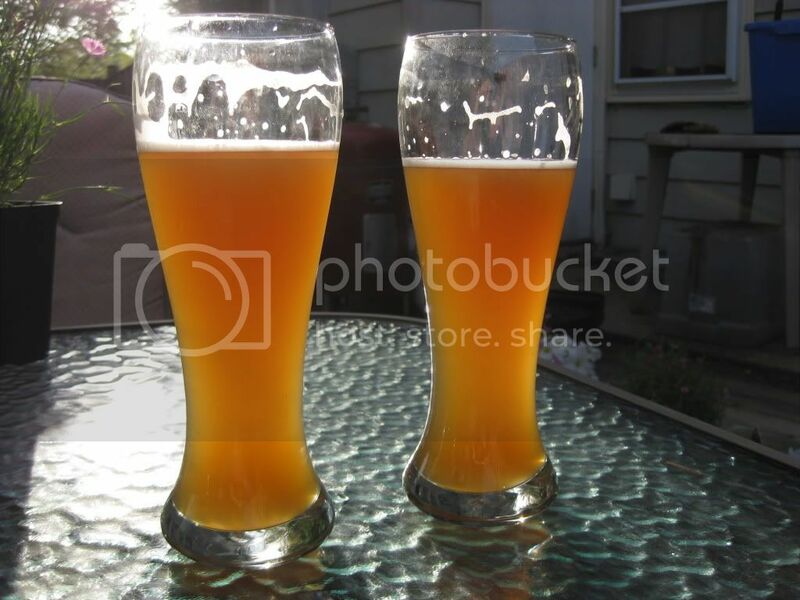 I know this is an old post, but I've been looking for a Hefe recipe that more closely matches Paulaner/Franziskaner/Haacker Pschorr. This one certainly looks the part...how is the taste? That Vienna and CaraMunic (I'm guessing CaraMunic III) malt looks to be for more color? I think the above recipe looks reasonable.....personally I would use melanoidin malt, about 4%, in place of Vienna and Caramunich, to achieve similar results. Hefeweizens should be about simplicity, about 50/50 wheat malt and Pilsner otherwise. The actual recipe I used. I wouldn't call it a clone per se but it was close enough for the one off time I brewed it. I have to agree with @voodoo_donut with 50/50. Maybe 60/40 barley/wheat. Unless your MT gets stuck sparges, you can skip the rice hulls. No matter what the grain bill the 3068 will contribute a lot of the taste IMHO. Yeah, honestly I think Hefe's can have a lot of freedom with the grain bill, it's yeast and temperature that matter most. I've got all the grains for brewingdan's recipe ready to go in the next few days. Can't wait to try it!